Jubilee invited me for the 3rd time to give a career talk. It is my joy and privilege to serve the school I came from. As an alumni, I told the attendees that I got the most important and the most difficult award to obtain — the “Loyalty Award.” I was enrolled here from nursery until I graduated 4th year high school. At least I make good on my promise to my mom that one day, she would put a medal on me in front of everyone. 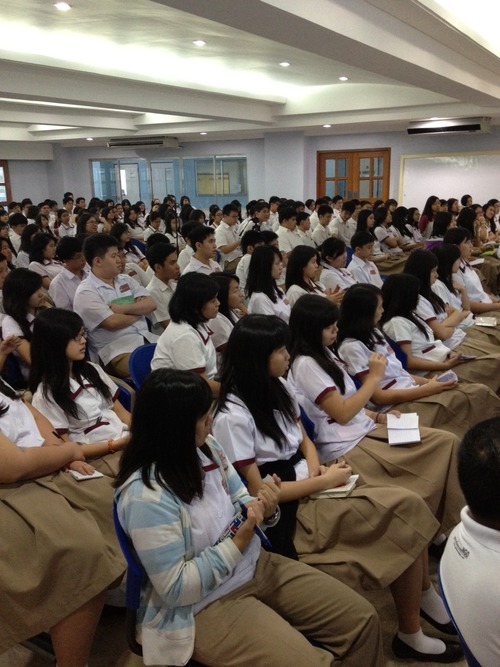 I had a great time with the grade 9 and 10 (3rd & 4th year High School) students. They just keep getting better and better. I remember our batch used to hate speaking English. Today, the students in Jubilee are very articulate. After the talk, they bombarded me with questions from marketing tips, to what will they do if their parents doesn’t agree with the course they want. It is very rare for students to approach a speaker afterwards to ask questions; yet more than 20 students surrounded me because they want to learn more. I was impressed! In fact I learned a great deal from their questions; it taught me how young people think these days…and mind you, they don’t think like young people anymore. Anson Tan of NAPPCO, the leading paper company in the Philippines also joined the affair. 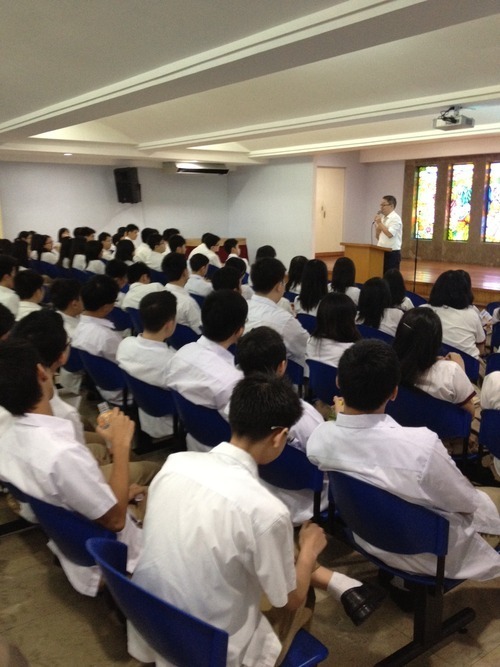 He shared his invaluable experience with the students on how to be successful. His style is down to earth, practical and easy to understand — making the complicated simple. When his talk concluded, I asked if he has notes; he said it was all impromptu. Wow! He was really speaking from the heart. Anson has been the president of Jubilee’s alumni for 10 years and vice president for 10 years before that. No wonder he has no notes, his deep love for the school was all he needed to prepare. I’m glad students have career talks today. If we had this during our time, it would’ve helped us make better career decisions. I just hope there are more alumni who would actively help mold the next generation.